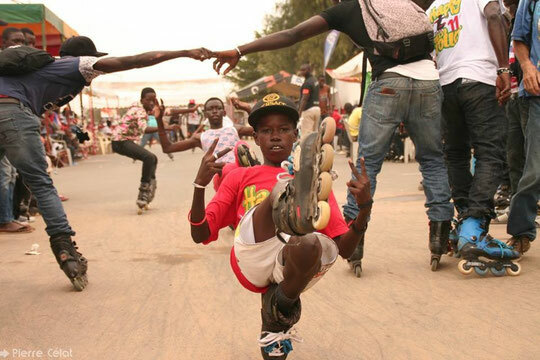 Accro Roller club and their president, Babacar Ndiaye organized the seventh edition of the "Battle Africa" in the capital of Senegal, on December, 7th - 8th. 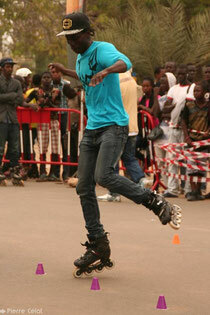 The event took place in front of the culture centre Blaise Senghor, where 54 skaters, all from Senegal, were competing for the victory in the Freestyle Battle and Speed Slalom disciplines. It must be said that this competition is the only one WSSA event for the continent every year. Therefore Battle Africa was expected with envy and impatience, by all the riders and clubs. Accro Roller, Family Roller, Rock Roller, Maestro Roller, Ghetto Roller, PIJ Roller, Underground Roller, Crazy Rider, Freestyle Roller, New Style Roller, Univers Roller : eleven clubs mainly from Dakar were presented, and all were a little disappointed not to compete with international skaters. 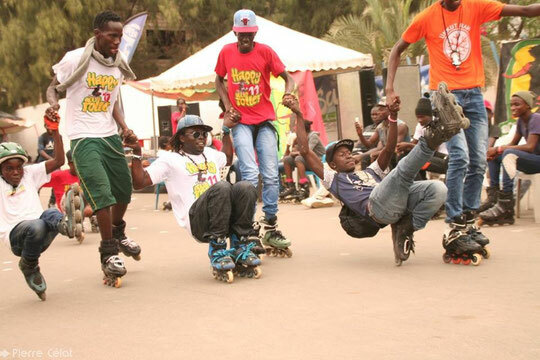 Aware that the competitions would bring them a new dynamic, the participants eager to show that Senegal is THE host country, many skaters have expressed this wish repeatedly to French judge, Pierre Célat, who visited Senegal to help with organizing and judging this event. 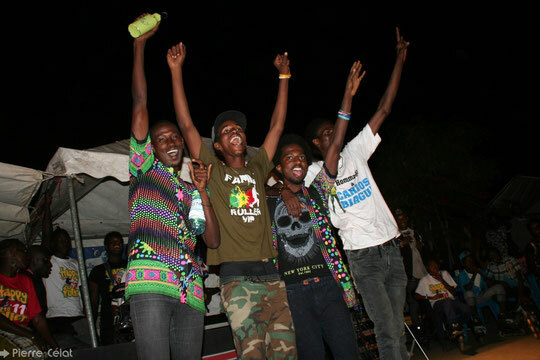 Therefore the 8th edition of the Battle Africa already announced by the organizer as a competition for a "new dimension" in December 2015 : welcome foreigners !!! Korka Diallo (Sen, #262) won the Men's Battle final for the third year in a row. Ayouba Diallo (Sen, #304) took the second place, improving his result from the last year. Cheikh Assane Diallo (Sen, #284), who took the second place in 2013, finished on the third step of the podium. The newcomer, Bibi Doumbiu (Sen) took the fourth place. Aminata Toure (Sen) showed the great result, winning her very first competition. She got the victory of the Women's battle final. Another newcomer, Rose Travan (Sen) finished just behind, taking the second place. Awa Balde (Sen, #226) took the third step of the podium. Her sister, Adama Balde, (Sen, #229), who took the third place in 2013, finished at the foot of the podium. Baye Mbissane Diallo (Sen, #213), the winner of almost all the Battle Africa events in the Speed Slalom discipline (except 2010, when he finished second right after Diallo Korka), got one more victory for his collection. He won the final in front of the newcomer, Pape Diop Birahim (Sen), who showed a great results for his first competition and finished second. Another newcomer, Ba Ablaye (Sen) won the consolation final against Ndiaye Khalil Soré (Sen, #409), who finished fourth. In the women's category, Nianga Mbaye (Sen) confirmed her victory from the last year and won the final against the newcomer, Travan Rose (Sen). Sophie Ba (Sen), improved her results from the last years, winning the consolation final in front of Sadio Diop (Sen, #210), and took the third place. Since the competition was over, freeriders showed a great level with a session of three hours of madness shuffles, pair style, high-jump, slalom and hockey: everything was chained to impress the crowd. This amazing day finished with the awards ceremony, where Babacar Ndiaye and his club Accro Roller received the trophy as the best organized African event from WSSA. The happy ending of a high weekend in color.